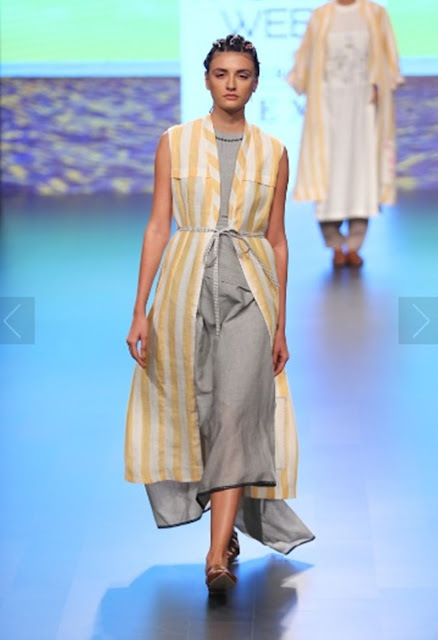 ‘Tahweave’ a sustainable fashion driven label by versatile designer duo Sweta Tantia and Priyangsu Maji unveiled their latest collection “Breathing Spaces” at Lakme Fashion Week S|R 18 on the final day at 12 pm in Mumbai. 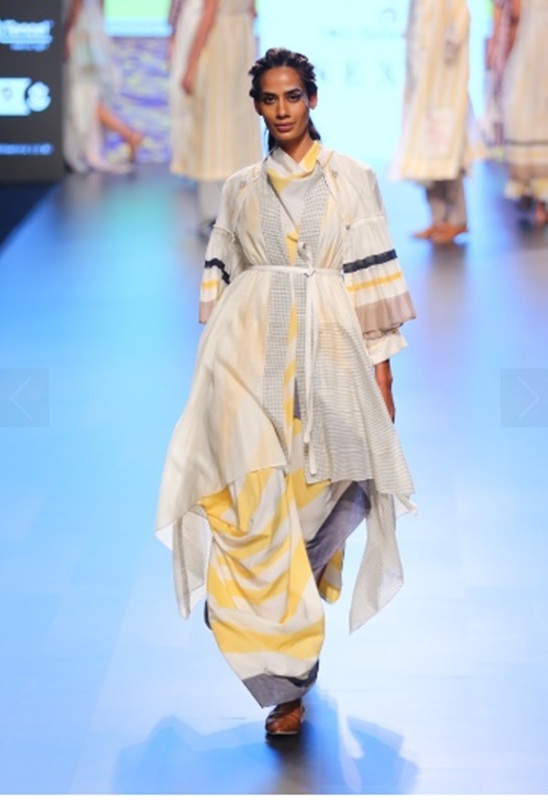 The collection theme was inspired by free-flowing fabric and soothing colors that offer a natural lightness to the soul by creating a breathing space between extremes. “Breathing Spaces” signified a breath of fresh air that refocuses the mind on the present moment. Combined with the natural fabrics, it created a space that is carefree, peaceful and enveloped in the serenity of the natural world. 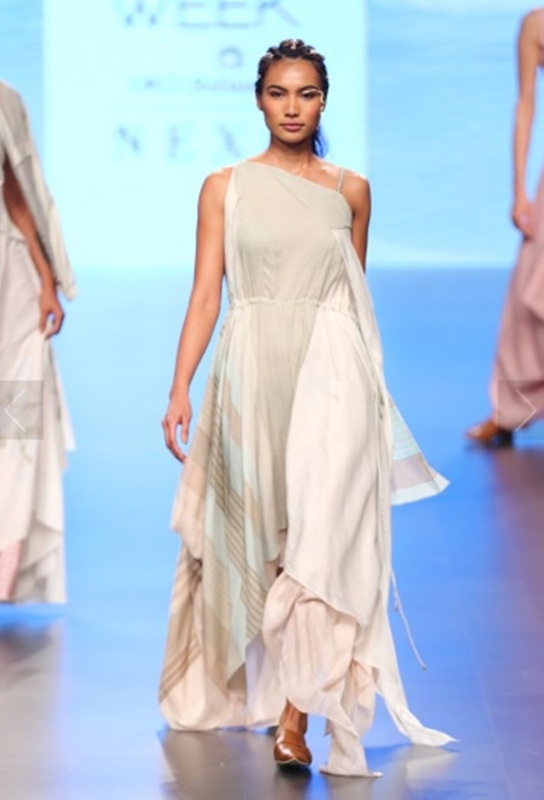 Overlayers to long flowy dress indulged in pastel colors like off white, blue, and blush pink with minimal embroidery, the collection deals with everyday chic yet casual, easy breezy women’s wear. 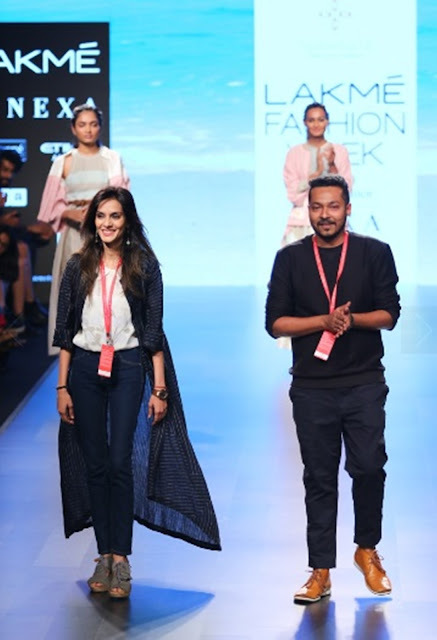 Sweta Tantia and Priyangsu Maji, versatile designer duo from Kolkata made their debut in Lakme Fashion Week with their label Garo - an Indian luxury brand. 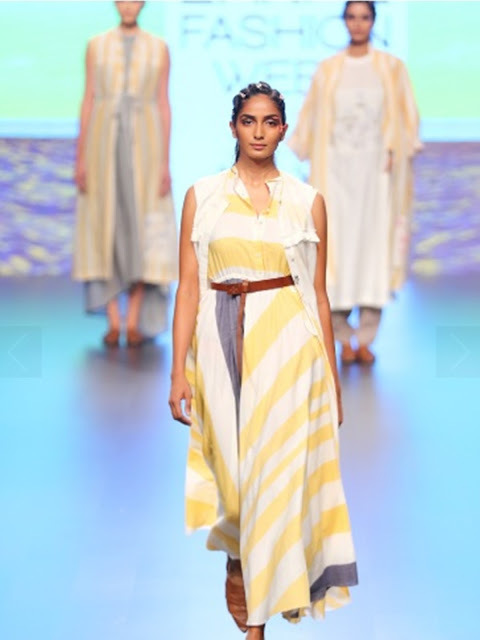 Out of their sheer affection for regional crafts, they came up with their new sustainable clothing brand that predominantly concentrates on hand weaves and minimal embroidery.